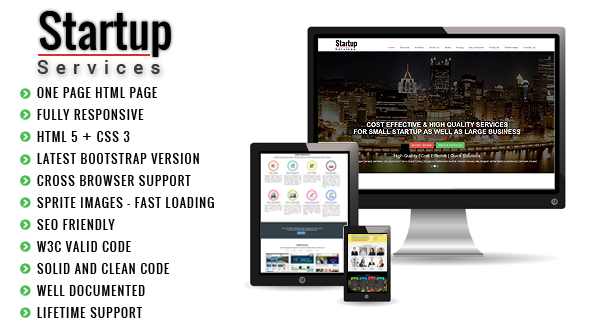 Startup Service is a clean designed responsive one-page website template executed in a modern style. This template suits best web agencies, digital studios, corporate websites, product showcase and demo sites, personal pages and business portfolio. The modern design makes it perfect for anyone to adapt to a brand image or any other color scheme that is needed. -Fixed: Testimonials page all images. -Fixed: Slider content & images. -Fixed: startup services text justify changes. -Fixed: Without animation version included in main files.